England’s Lake District is in the north west of England. Much of this part of England is a National Park – a hilly landscape with large lakes and plenty of paths and trails for walkers and bikers. The Lake District National Park is popular with British people. 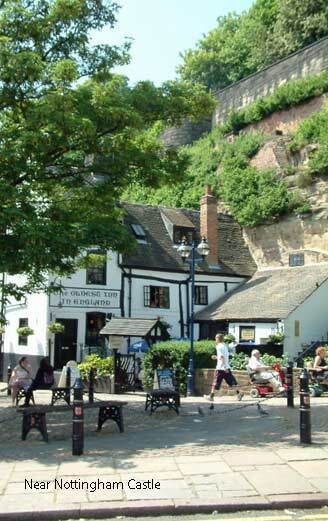 There are plenty of places to stay, a wide selection of cafes, pubs and restaurants. A scenic part of England is the border of Scotland in Northumberland. The Roman’s built a wall dividing the two countries, called Hadrian’s Wall which can still be seen. The landscape is wild and rugged, a place where many battles were fought. Castles and ruins still stand guard. The towns and villages were traditionally built of stone. Old fishing villages lie on the coast. In the centre is the Northumberland National Park. A little further south are the cities of Newcastle and Durham, both known for their friendliness and the warmth of the local people. Further south is Yorkshire, an area of hills and dales, lovely coastline and down to Earth friendly inhabitants. The parts around Haworth in Yorkshire where the authors, the Bronte sisters lived and wrote their much loved books, is known as Bronte Country and a magnet for lovers of their literature. Wider, more rugged, less populated than the south of England. Colder than the south of England, so dress for warmth. Many British people holiday in the national parks in the north of England, the Lake District is especially popular.